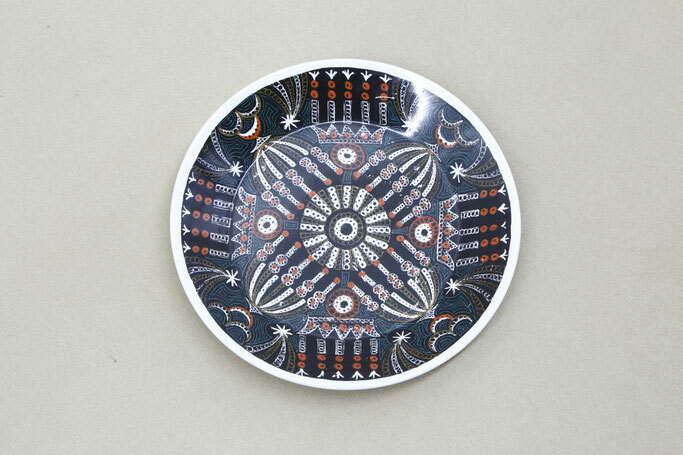 ‘Magic City’ plate, designed by Susan William Ellis, Portmeirion Pottery, Wales, 1968, Museum Collection. CW McDonald was my late father. He came to Japan in 1950 as an eighteen year old office boy. He stayed for 63 years, becoming one of the longest foreign civilian residents in Japan. Although firmly established in the business world, towards the end of his life he developed a curiosity for contemporary art. His two sons both work in this field. With their help, a small art collection was selected and purchased. He passed away in December 2011, just as Fenberger House opened. The Christopher McDonald Collection includes works by : David Hockney, Franz West, Andreas Schulze, Phoebe Unwin, Tomoaki Suzuki, Martino Gamper, Roger Ackling, Peter McDonald, John Stezaker, Goshka Macuga, Jonathan Meese, Yozo Ukita, Christian Hidaka, Dr. Lakra, Guy Mayman, Francis Upritchard, Florian Meisenberg, Karin Ruggaber and others. The Christopher McDonald Collection was purchased by Christopher McDonald (1933-2011), and selected by Roger and Peter McDonald.